Renderplas provide premium quality render mesh and mesh fixings to EWI (External Wall Insulation), ETICS (External Thermal Insulating Composite Systems) specialists around the World. Render mesh is a superior grade glass fibre reinforcement mesh for render that adds strength to all EWI, ETICS and plaster applications. Usually embedded into the base coat of the render or plaster it adds resistance to cracking and impact damage. Furthermore, when used in conjunction with Renderplas mesh fixings and beads, the thermal performance of a facade can be enhanced rather than compromised as it would be if metal components are used. Application: Designed to prevent cracking and impact damage to render and plaster at stress points, areas of high traffic or surfaces that are likely to experience impact or localised pressure. 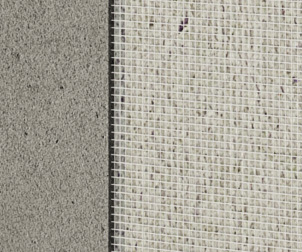 Diagonal strips of render mesh should be used at the corners of all reveals that are rendered. 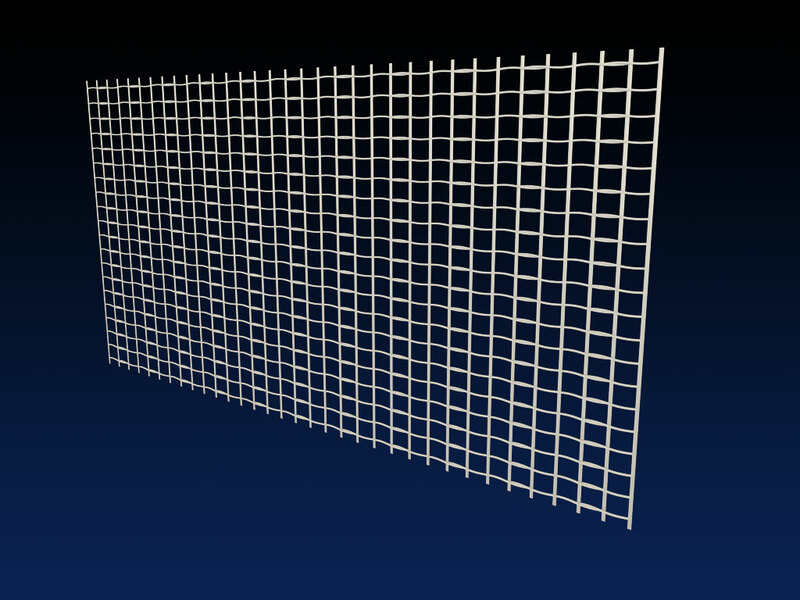 Mesh should be double layered where heavy objects such as satellite dishes are mounted on the surface of a wall. Colours: All render mesh is white. Performance: Renderplas render mesh is available in 2 weights for applications that demand strong or very strong reinforcement. Our mesh offers value for money alternative to metal lath and is made from cost-effective woven glass fibres coated in carboxylated styrene-butadiene copolymer latex that is guaranteed not to stain or corrode. Designed to outlast its metal counterpart, render mesh is guaranteed to be fit for purpose for the lifetime of the render and at least 25 years. Our mesh complies with all of the British and European standards for the design requirements of thermal insulation products (BS EN 13496:2013) and European Technical Approval Guidelines (ETAG 004 conforming to System 2+). render mesh can be used in all applications including situations of high atmospheric or background moisture, high atmospheric or background salt and is resistant to chemicals including alkalines. Storage, cutting and fixing: Render mesh is fast and easy to cut to length with scissors or tin snips and is safer to handle than cut metal. Fixing should follow standard industry practice or guidelines stipulated by the system manufacturer. Glassfibre reinforcement mesh in most cases should be floated into a base coat of render or plaster. Make sure there are no protruding areas of substrate or EWI and lay the mesh flat against the base coat with no wrinkles or creases. Using a trowel, push the mesh into the top third of the base coat so that the mesh cannot be seen. 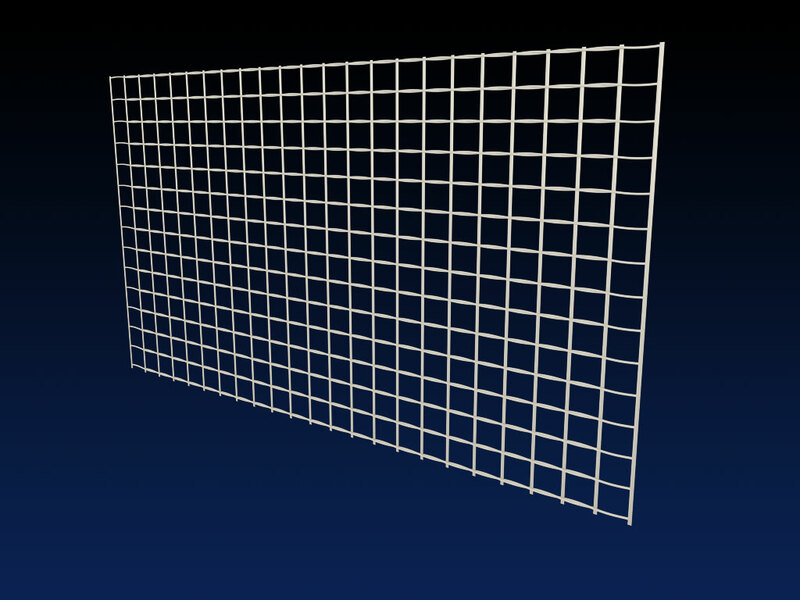 Where two or more sheets of the mesh are used they must overlap by 100mm where they meet. Store vertically or horizontally away from direct heat and where it cannot be creased or distorted. Packing: Renderplas render mesh is supplied in rolls 50m long by 1m wide and wrapped in clear polythene sleeves. Multiples of 30 rolls are supplied on a pallet. 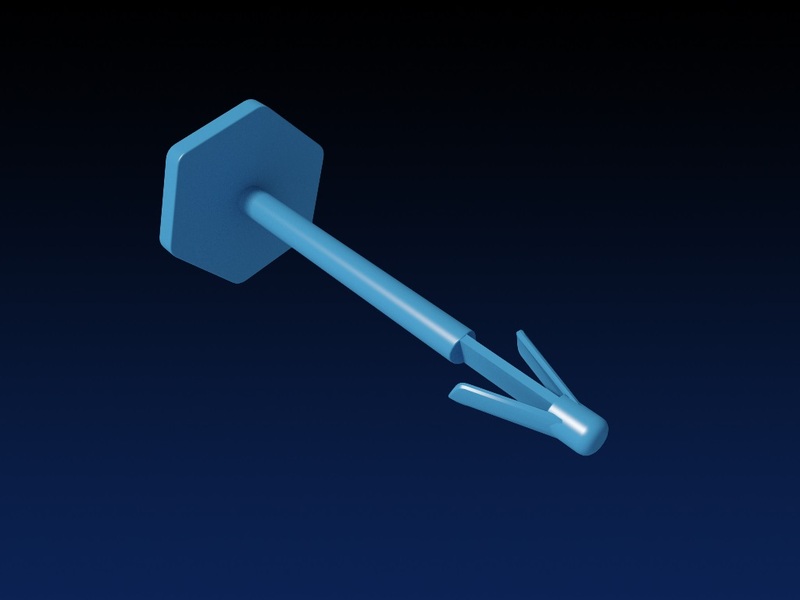 Renderplas mesh fixings are supplied in crates of 50 200 pin packs.